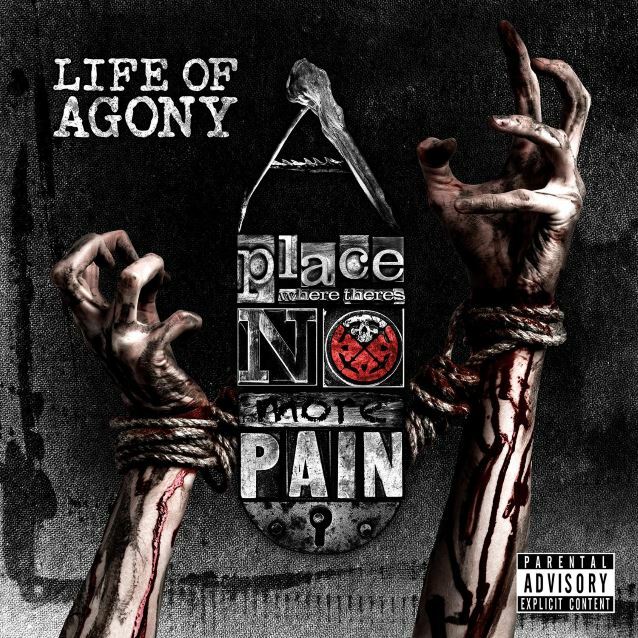 Life of Agony are an alternative metal/rock band from the US and this is their fifth album. I was an instant fan when I first heard River Runs Red way back in 1993. That album, along with 1995’s Ugly and 1997’s Soul Searching Sun, formed a triumvirate of brilliant albums that not only stood proud in their own right, but also showed a band willing to progress, change and develop as time moved on. Since then, I know they have done some other things, even released a fourth album, but I haven’t paid attention to any of it, so good were the first three albums that I was never interested in anything else, (I know that might not make a lot of sense, but it is what it is). This review is written with that in mind; as far as I’m concerned the band stopped after Soul Searching Sun and have only returned now with A Place Where There’s No More Pain. My biggest fear with this album was that it would be some form of stagnant attempt to recreate their debut album. Due to how much the band have pushed themselves in the past, this would have been a dealbreaker in my opinion. Of course, I should have known better, and in retrospect I’m not even sure why I would have thought this. Well, fear isn’t rational, I suppose. What the band have done is release an album that seems deeply personal, which provides the music with a lot of depth. All of their releases have had elements that were very personal and emotional, and this latest is no different in this regard. A large part of this emotive edge comes due to their phenomenal singer. Always one with a unique and individual voice that bled emotion and feeling, her performance on A Place Where There’s No More Pain is nothing short of jaw-dropping. She has always pushed herself in her vocal delivery, be that in Life of Agony or in her solo work, but on these songs she absolutely excels at what she does. Musically the album covers most of the different styles they have embraced over their career, but that also sees them trying a few different tricks too. I feel this has probably been the best approach, as to try something completely new would probably have been too much after a 12 year break from their last release. Besides, they have already mastered a lot of different types of music across their discography, so it’s only natural that this latest album distils all of that into one place. As I say though, they certainly haven’t rested on their laurels, and A Place Where There’s No More Pain is very worthy of being released after so long. The songs are up-to-date embodiments of what you would want Life of Agony to sound like in 2017. So true, and A Place Where There’s No More Pain is so good. Get this immediately. This entry was posted in Metal and tagged Alternative Metal, Alternative Rock, Life of Agony, Metal, Rock. Bookmark the permalink.